The Cadet circuit is the next step from the Leon Paul Junior Series. Most fencers begin in this category around age 14. It is comprised of around four national competitions and four international competitions. 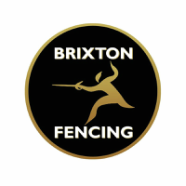 The national competitions are used to form a ranking list from which the top fencers will be selected to compete at international competitions. Squads taken to internationals can range from 9-15 fencers. At the end of each season is the European and World Championships. The top four fencers in the rankings are generally selected for this.